"The result is absolutely fantastic and I can now cruise at any speed with no wind noise, buffeting etc at all. I'd never realised my engine actually made a noise because I've never heard it above the wind noise! I know screens can be very subjective, depending on rider height, speed etc but I could not recommend this enough." "I'd like to thank you for my new Vario Touring Screen - it's made an absolutely wonderful difference and transformed my Deauville ...I really wouldn't be without it now. I've just made a 500 mile return trip to Newcastle and back from Luton and I only needed to stop for fuel - with the original screen I have to take a break every 100 miles or so for a rest and to clear my head because of either the wind banging on my helmet or because of neck ache depending on how it was adjusted - but with the spoiler on the MRA screen I've been able to adjust it to suit me perfectly. I'm really over the moon with it and I'll be pleased to tell anyone else with the same bike! 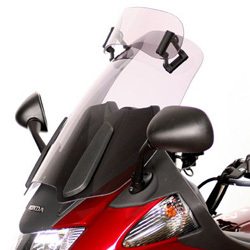 !quote, 52780, NT700V, nt, 700, windshields, wind, shields, windscreen, motorcycle, motorbike, sportsbike, vision, vario, touring, screens, vario-screens, vario-shields, sports, sporty, gray, grey, tinted, smoked, ecran, vent, pare-brise, 06, 07, 08, 09. 10, 11, 6, 7, 8, 9, 2006, 2007, 2008, 2009, 2010, 2011! Quick helpful service, quick post, exactly as advertised! Item as described, super fast despatch. 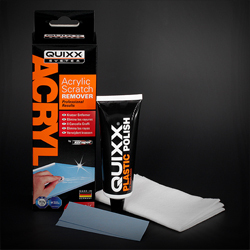 Excellent product, looks good on bike. !57805, 4025066131709, NT700V, nt, 700, windshields, wind, shields, motorcycle, vision, xcreen, xscreen, x-screen, x creen, x screen, screens, gray, grey, tinted, smoked, 06, 07, 08, 09. 10, 11, 6, 7, 8, 9, 2006, 2007, 2008, 2009, 2010, 2011!